“Work hard, do the right thing, and have a little fun.” That’s not only one of Choice Financial’s core values, it is Grafton Receptionist and Loan Assistant, Morgan Smestad’s personal motto. She works hard at putting a little fun into every customer’s visit to Choice Financial, priding herself on getting to know a little bit about each person, and what to do to make them comfortable. For example, she makes it a point to look up what serious or quirky holiday is being celebrated each day, as a fun conversation starter or a way to connect with someone. One day late in April, regular customer Jay came in for his daily visit. Morgan knew Jay as a hard-working plumber, and having glanced at her daily calendar just moments before, she also knew that day was National Hug A Plumber Day. As soon as he disappeared behind the closed door of Ryer Stark’s office, Morgan put together a quick plan to gather everyone on the floor to ambush Jay with hugs. 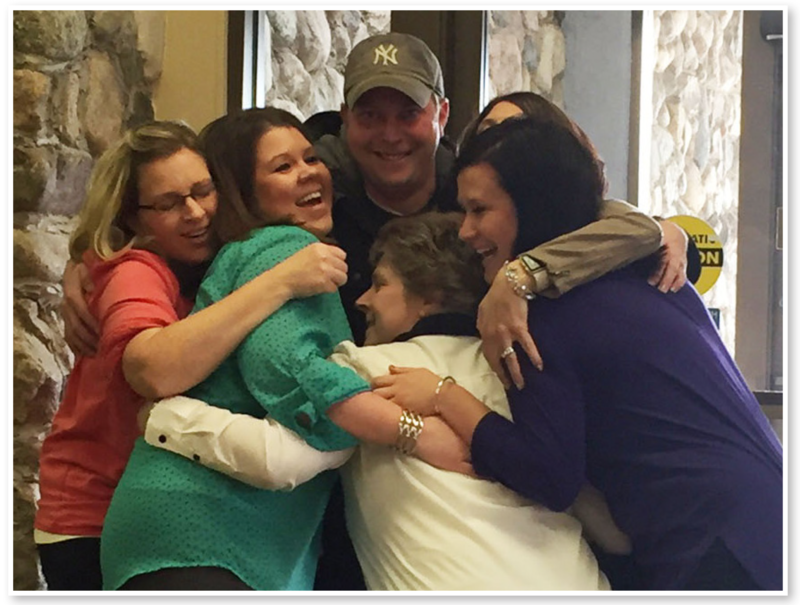 “We all gathered in front of Ryer’s office, and waited ‘til Jay came out, then we surprised him with a huge group hug!” Morgan recalled.